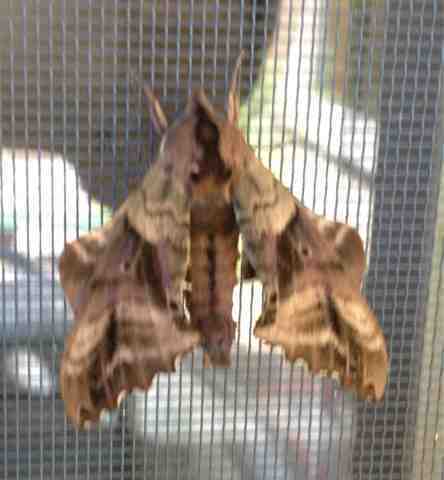 This Blinded Sphinx Moth showed up on a window at work. Moths a fascinating creatures. Sphinx moths in particular have pretty awesome looking caterpillars too. Keep your eyes open for cool moths. Now is a great time to look out at the walls near porch lights in the evenings for some gorgeous and surprising discoveries.